Thème Histoire des courses automobiles-history of motor racing. 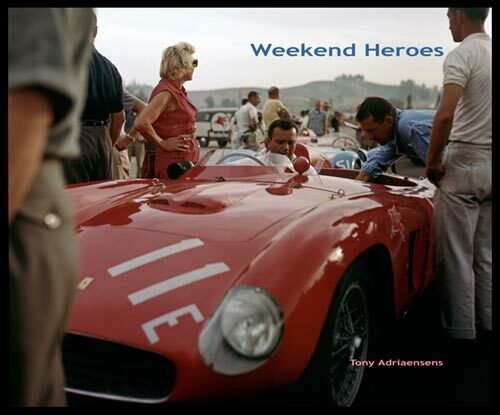 Description Weekend Heroes captures the events from 1952 to 1957 in 700 pages, filled with 370 fabulous and vivid color photos and 189 fascinating black&whites. About 98% of these rare and desirable photographs - the work of amateur photographers like Joe Smith, Bob Lytle, Al Long and Bob Gurr - have not been previously published. The images are accompanied by the race reports and stories published in enthusiast journals of the day. MAGNIFIQUE livre, 4,7kg de plaisir!!! Edition limitée 1000 copies numérotées.